As you’ve been made very aware a lot of this blog is me posting photos of my meals and talking about how nice it was. You’ll be pleased to know that my comments on March as a month in general will not stray from this theme. There was in fact a whole post on brunch earlier in the month so don’t miss that one. In other food related news I’ve got some other tasty recommendations (for all those outside of the South East this includes a non London spot too)! 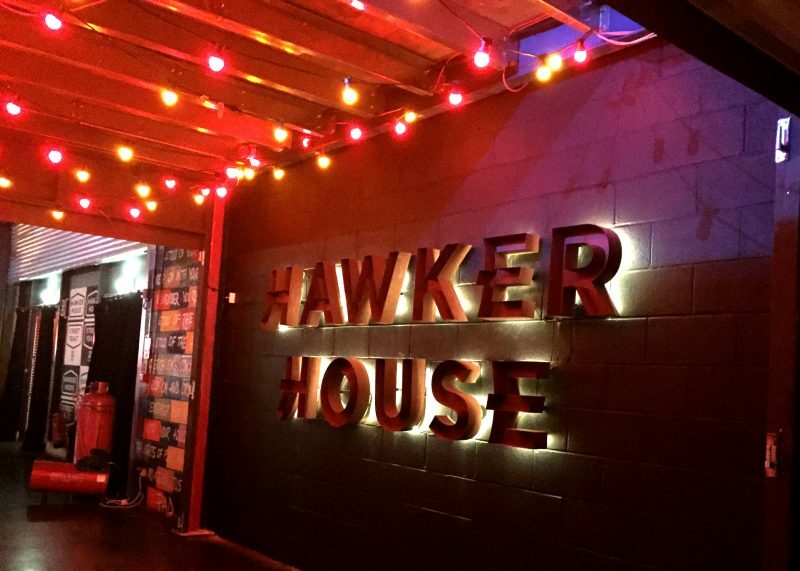 Hawker House – part of the same family as Dinerama (which I never got round to blogging about), is a huge warehouse converted into a delightful environment for tasting foods from around the world whilst sitting amongst the company of others on long tables (what more could you really want from an evening?). Around the corner there’s a wine bar, gin bar, beer pong place and some pool tables. Cute, kitsch, fun, cool – whatever you want to call it, it’s great fun and free entry if you go before 7pm (just a little tip from me). Where? Just near Canada Water tube. Pop Brixton has expanded and got a roof and stuff now. Very fancy. It also has a cute Mexican place, Maria Sabina, that does Taco Tuesdays. 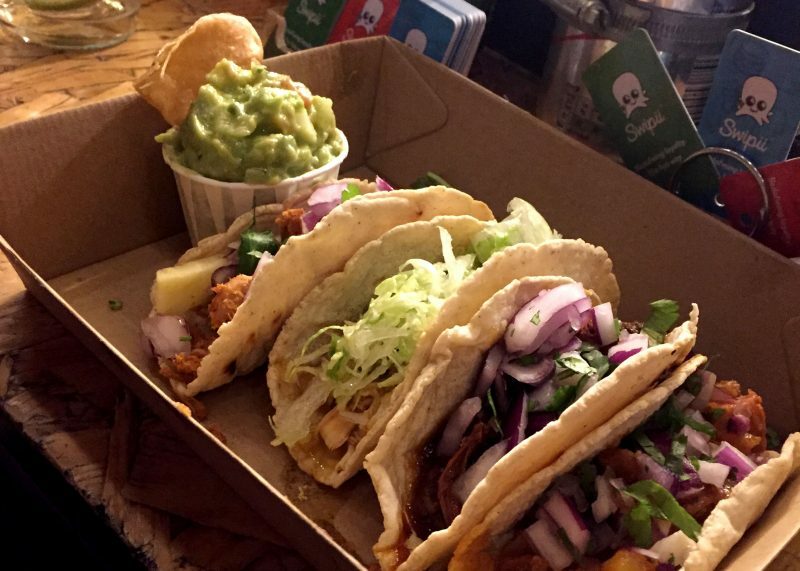 We’re talking tasty little tacos, four for £5 AND £2.50 Coroners – bargain. I would say the chorizo one was my favourite and don’t miss the Guac, it was delish. 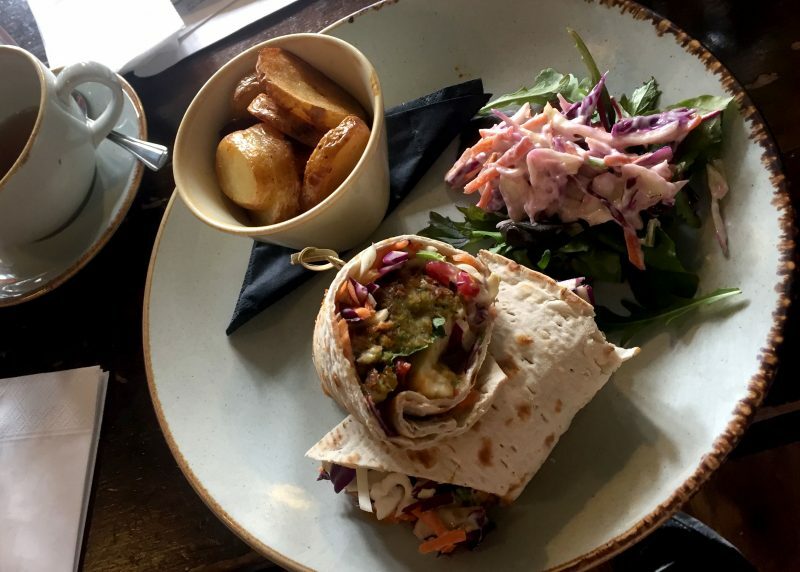 Lots of other food choices too – something for everyone! Where? Brixton, just near the Market. I popped to Bean & Hop for brunch during one of my days off this month (using up holiday on Mondays was lovely, so chilled). They have a lovely brunch menu and really nice coffee too. 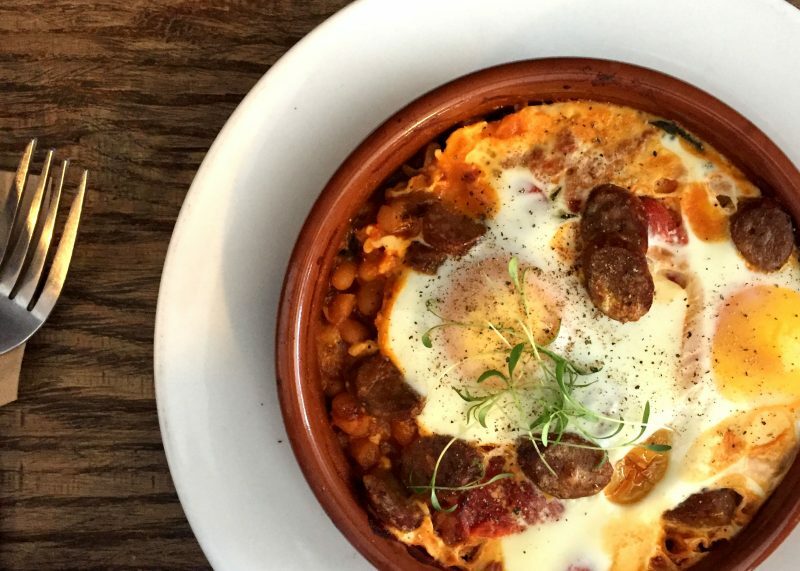 I opted for the baked eggs, (see below) and will be adding to my list of top brunch spots. They also had a pizza menu too for the evenings which sounded delicious, so I’ll definitely have to return to try those out! Where? Earlsfield, SW London. How was your March? Did you eat anything nice?